Do you remember the Workshop of photography and art around Siena and Casole d’Elsa? It was an amazing experience for all of us. Thanks to ViaggioFotografico, the Archeological Museum of Casole d’Elsa, Castello di Casole and all the guest! 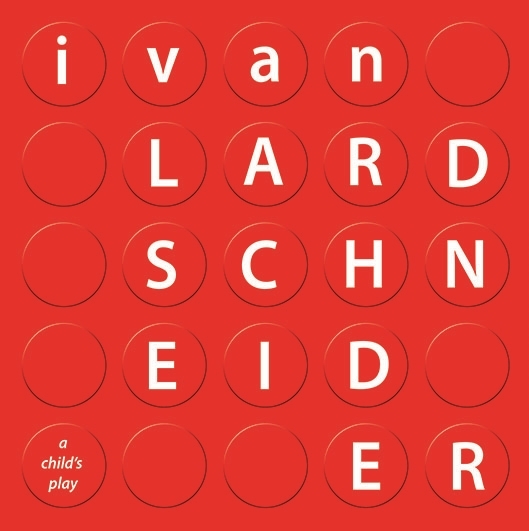 iSculpture Art Gallery is proud to announce the Solo Exhibition A Child’s Play by Ivan Lardschneider. Simultaneously, the site specific installation “A Fallen Angel on Earth” will be displayed at the Hotel Castello di Casole. Ivan Lardschneider, a young sculptor, has shown his works in various events, in and out European borders. Rhode Island, Miami, Berlin and Paris are among his latest exhibiting locations, beneath his attendance to the 54° Biennale di Venezia. This is time for Tuscany, between San Gimignano and Casole d’Elsa. This is going to be the setting chosen to present his latest works and the catalogue “A Child’s Play”, edited by Vanilla Edizioni. As the first apprentice of Aron Demetz, he started his career on the figurative path so clearly preferred by Walpoth and then turned to his original and recognizable style. Linden wood is his medium, the same of the Gardenese tradition, the one used for the religious sculptures in our churches, rediscovered with a new and unique artistic syntax. Telling about his works means to have the privilege to go back to that childhood and candid condition, simple and uncontaminated that taught us to call things with their names, to transcend the constructed language e to make it pure again. Lardschneider allows us to return to the primordial sense of this communication because he uses a simple and intuitive language. His figure is linear and absolute, is each one of us and it needs no more than our daily gestures. The high point of his new production is “A Fallen Angel on Earth”, exhibited in the wonderful setting of the Castello di Casole (Siena), where Ivan’s typical character becomes an Angel precipitated among us. Our cultural and religious superstructures lead us to think that his exile is a form of punishment. But, and this is where Ivan’s works intensity plays, we have to annul our knowledge, free our mind to look at his works with the eyes of a child, immune to prejudice. Opening at Hotel Castello di Casole (SI): Saturday, June 14 at 6 p.m. Opening of the Solo Exhibition at iSculpture Gallery San Gimignano: Sunday, June 15 at 6 p.m.
Born in Val Gardena in 1976. He exhibits since 2005 and his works are today at the Ladin Museum and in art galleries in Paris, Saint Paul de Vence, Rome, Milan, Miami, Berlin and India. He took part to the 53° Biennale di Venezia with a collateral project of LILA. In 2011 he attended the 54° Biennale di Venezia. In 2010 he was invited to show his works in the itinerant group show “Dadaunpop” that touched Mumbay, Calcuttael and New Delhi, curated by Igor Zanti. iSculpture was established in 2012 by Francesca Cundari and Patrick Pii, with the aim to promote both young and successful Italian sculptors. Our attention is mostly focused on the research of the new borders of the Italian figurative arts. Updated in taste and in the concept of “beauty”, sculpture is perhaps the most complete art kind, in which matter and shape come together in a continuous challenge to renewal, without ever leaving a constant acquisition of consolidated parameters relating to balance and know-how. The works of our selected artists represent a significant example of contemporary Italian sculptural production in the field of ceramics, bronze, alabaster, wood, marble and iron. Tradition and modernity merge together in the 14th century architecture and the renovation works, facilitating a timeless dialogue between the art works and the spectator. Its first location in San Gimignano, is today joined by a further exhibiting space in Casole d’Elsa (SI), at the border between the provinces of Siena and Pisa, crossed by international cultural and artistic fervors since many years ago. Vanillaedizioni is the publisher point of reference for art professionals, culture and design. Young, dynamic, always attentive to the changing needs of readers and customers, vanillaedizioni is distinguished by the quality of the content and its active presence in the market.